The Society for Human Resource Management (SHRM), a professional human resources membership association headquartered in Alexandria Virginia, has acknowledged that Master of Human Resource Management (MHRM) program offered by the School of Professional Advancement is fully aligned with SHRM’s HR Curriculum Guidebook and Templates. It also gives the MHRM program students an opportunity to be SHRM CERTIFIED PROFESSIONAL (SHRM-CP). In Pakistan, the UMT School of Professional Advancement's Master of Human Resource Management is the first school to achieve this milestone. It is part of SHRM’s Academic Initiative to define HR education standards taught in university business schools and help universities develop degree programs that follow these standards. 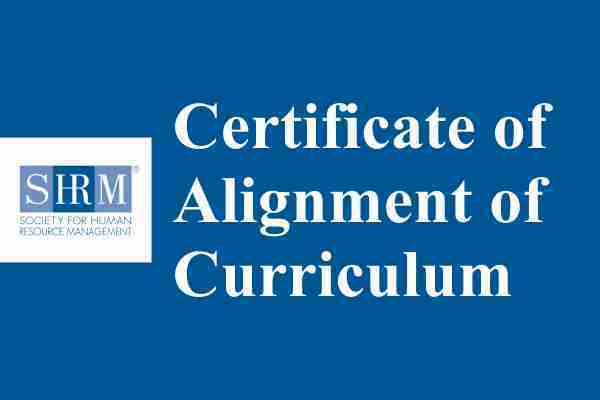 The students enrolled in an HR degree program at an educational institution aligned to SHRM’s core curriculum guidelines (SHRM HR Curriculum Guidelines) will be able to apply for the SHRM Certified Professional (SHRM-CP) exam. It is worth noting that SHRM is the world’s largest HR professional society, representing 300,000 members in more than 165 countries. For nearly seven decades, the Society has been the leading provider of resources serving the needs of HR professionals and advancing the practice of human resource management. Throughout the world, almost 329 programs in 248 educational institutions have been acknowledged by SHRM such as Saint Mary’s University of Minnesota, USA, Lindenwood University, Minneapolis, Minnesota USA. Carleton University, Ottawa, Ontario Canada.